Our culture is our strength. It can help us when a person has been through a traumatic event. It takes time and support to heal. Some people who have not had that time or support may act violently toward others or themselves. It is our hope that this toolkit will help support the healing of Inuit men and boys. We understand that violence affects everyone and that it takes both men and women to stop violence in our communities. This toolkit was made possible with a grant from the Women’s Program of Status of Women Canada. 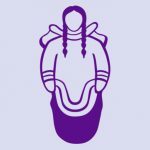 Pauktuutit Inuit Women of Canada is an organization that, in part, aims to help Inuit women achieve equality in Canada. This opportunity allowed Pauktuutit to work closely with men in the community to create this toolkit together and to ensure that men have a voice in the efforts to end violence. Pauktuutit focuses on social and health issues that are a priority for Inuit women. Since 1984, violence and abuse prevention has been among its top priorities. There are some men who may feel uncomfortable with the changing role, status and increasing independence of many Inuit women in our communities. It does not have to be ‘us’ and ‘them.’ No one is asking to put one in front of the other. There is room and equal value for both. Everyone has the capacity to heal. This toolkit is divided into two sections. The first section supports and connects natural helpers in the community who are interested in starting healing work with men in their community, or joining a network like Reseau Qajaq Network, or the Kivalliq Counselling and Support Services. The second section shows how a counsellor may support individual healing through group sessions and take-home independent activities.